Chinese water chestnuts (Eleocharis dulcis) are very simple to grow at home and are very productive. For some reason people used to tell me how difficult they were to grow, but the hardest part was finding any for sale in Australia that were not in a can! To grow water chestnuts you don’t need acreage, you don’t need a stream or a pond, and you certainly don’t need to live in the tropics. Chinese water chestnuts can easily be grown in most of Australia if you have access to soil, water, and sunlight. I grow them and I sell them so you can also grow them. I grow water chestnuts in a cheap bucket. 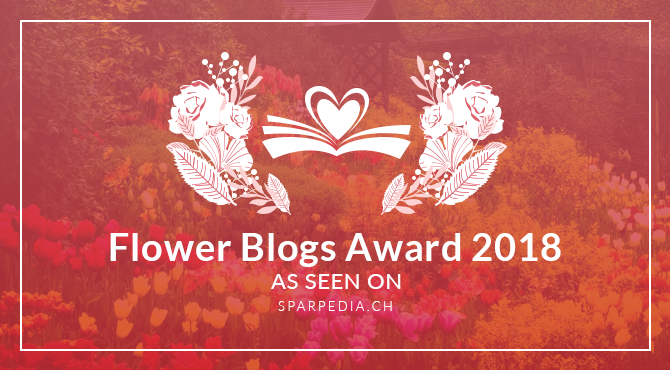 Being perennial vegetables, you can plant once and harvest forever. In order to do this you need to store some water chestnut corms over winter while they are not actively growing. 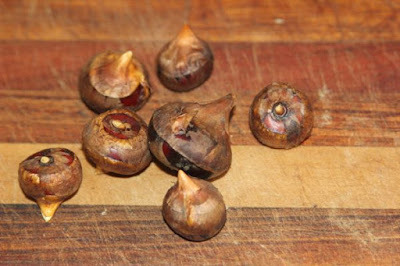 Let me explain how I over winter water chestnut corms. I have been told that there is an art to storing water chestnuts over winter in order to grow them the following spring and that it is very complex. I wish someone told me about this earlier as I have been growing them for years and never had any issues storing them with no effort! Perhaps this advice stems from overseas growers whose climate is vastly different to ours. You can store them in slightly damp sphagnum moss in the crisper of the fridge and inspect them weekly as per the advice, but you don’t have to. I have certainly never done that, it sounds like too much work and too much space. I store them in the same bucket of soil that they grew in over summer. 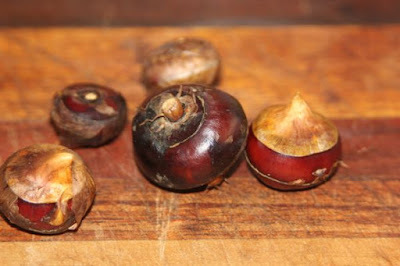 I grow water chestnuts in buckets of soil, over winter they die down so I harvest some and leave some behind. I don’t water the bucket or really think about it, and that is all I do until spring when they start to grow again. I explained in a previous post how I grow water chestnuts in a bucket. There are a few things other not mentioned in that post that you probably need to think about if you have just got water chestnuts for the first time and are waiting over winter before you can grow them. Most of it is common sense, and they are very hardy. This seems pretty obvious. 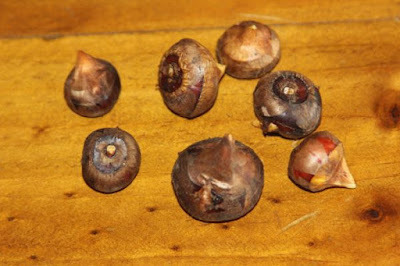 If you put water chestnut corms on the kitchen windowsill or in your sock drawer over winter they will dry out and be dead by spring. They are pretty hardy and it takes them quite a lot of time to dry out and die, so you don’t need to stress. Putting them on the bench for a week or so while you work out what to do with them shouldn’t harm them. Many people store them in a pot of soil that is as wet as any pot plant you may have (ie not very wet at all). They don’t need to be overly damp when dormant, being too damp will rot them, but they also don’t like to be completely dry for too long. Around Canberra the top of the bucket and the sides may freeze a little, but the center will not. The soil acts as an insulator and few places in Australia get cold enough to kill them in the soil. Any corms that are in the center or deeper in the bucket will not freeze, and they will survive to grow in spring. Once they sprout in spring frost is not great for them, but I have never lost a water chestnut plant to the frost. Water chestnuts grow in soil that is submerged over summer. They cope really well being wet and thrive in places where most weeds quickly perish. When they are dormant they will rot if too wet for too long. I don’t water them over winter, I let the rain take care of that for me. If we have had lots of rain I will tip off excess water to be able to harvest them and from there on the rain will look after them. Planting them in a pot of soil and keeping this in a saucer of water is fine, but it is best not to keep them under water while they are dormant. Please don’t store them in a glass of water or in your fish tank over winter. Sunlight won’t hurt them or render them inedible as it does in things such as potatoes. 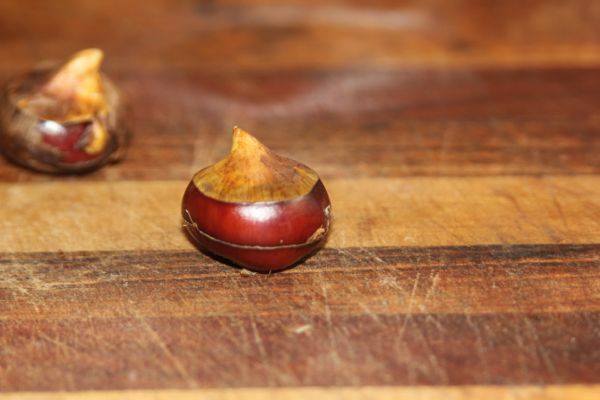 If the corms are out of soil and get a lot of direct sunlight for a long time they may eventually dry out and die. If they are in damp soil and get too warm for too long they may start to grow. Around Canberra the soil stays cool over winter, so this isn’t too much of an issue here. I know some people who move their buckets into the garage over winter to protect from extremes of temperature and stop them getting overly wet, but you don’t have to. Keeping all of the above in mind, I have left corms outside on the pavers for a few weeks over winter after I dug them up, got distracted by something, and forgot about them. They were dry, they had direct sunlight, they had wide temperature fluctuations and experienced light frosts each night. These corms all grew the same as the ones I actually took care of. So they really are pretty hardy. 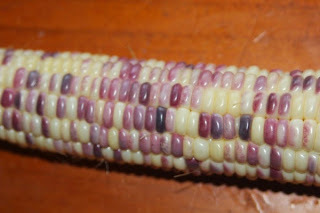 Very few places in Australia sell water chestnut corms or plants for some reason, I sell them through my for sale page. I also sell a range of other organically grown perennial vegetables, heirloom vegetable seeds, herbs, berries, and ornamental plants.